When a homeless man saw someone in need, he didn’t hesitate to help out. His selfless actions ended up becoming a national story, something he never could have predicted. He just saw someone who needed help and offered a hand. Dave Cochran lives in his car, finding odd jobs in his Kansas neighborhood and getting by on what little money he earns. The snow fell hard one day and, while he was sitting in his truck, he saw that there was a car stuck in the snow. The driver of the car was trying to get it out, but wasn’t having any luck. Since Dave had a Suburban truck, he offered to help tow the man’s car up the hill. Dave did have some reservations initially as his car is older and the stranger had a brand new BMW — he definitely didn’t want to scratch or damage the vehicle by accident while attempting to help, but decided to risk it. After getting the car towed out, the man thanked Dave and they parted ways. Dave didn’t now at the time, but it was an NFL player, Jeff Allen, of the Kansas City Chiefs, that he assisted. Jeff wanted to thank this kind stranger, but only knew the man drove an old truck and his name was Dave. 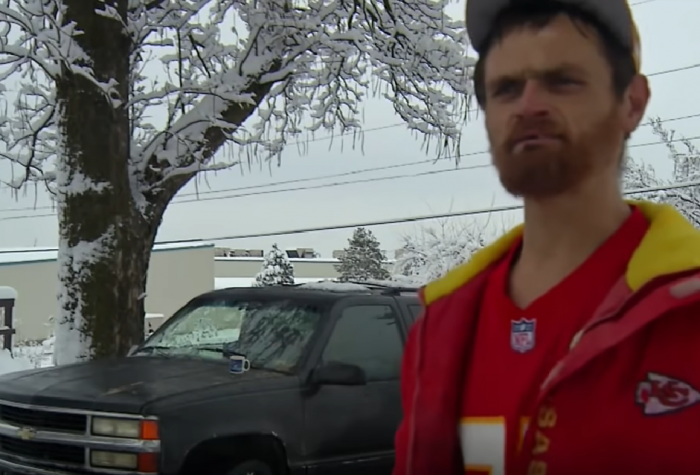 He had no clue how to get in touch with him and had hoped to offer Dave an invitation to the AFC championship to repay him for getting his car out of the snow. Unsure how to track him down, Jeff took to Twitter in hopes that someone would be able to help. The power of social media to the rescue! 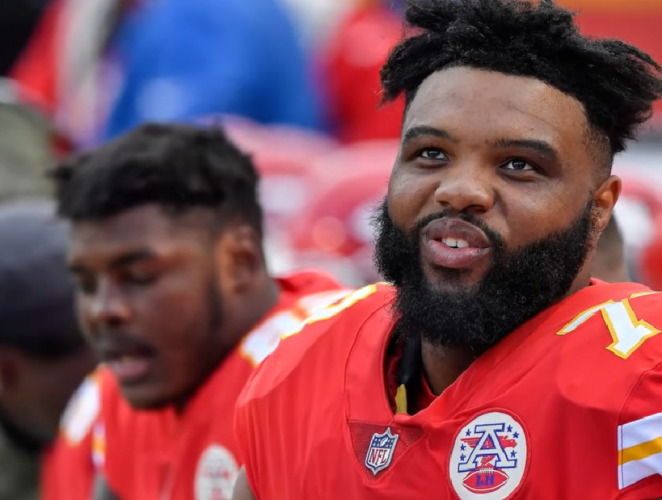 His tweet went viral and the word got to Dave, though a lot of people were suddenly changing their names in hopes of collecting the NFL player’s reward!